CSO School Concerts feature the world-renowned music making of the Chicago Symphony Orchestra, exploring orchestral masterpieces and illuminating connections to students’ daily lives. Join us for four exciting programs that explore where great orchestral music comes from, what it means to be a listener in the 21st century and how composers, musicians and audiences are the architects of its future. 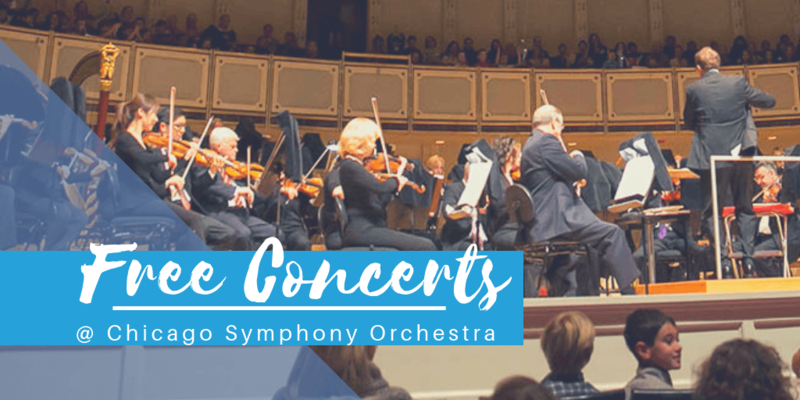 Come be inspired by the amazing musicians of the Chicago Symphony Orchestra. For Chicago Public Schools, during the 2018/19 season, tickets and transportation to CSO School Concerts are FREE. The Chicago Symphony Orchestra is one of the premier orchestras in the country. This is an amazing opportunity to see them live that is open to anyone and FREE for any CPS school. It’s rare to find free field trips, especially of such a high caliber, but to have bus and transportation included is almost unheard of. This is made possible by the Negaunee Music Institute and according to their site is only available for the 2018/19 season in celebration of their 100th year anniversary so take advantage of it while you can! The legendary Chicago Symphony Orchestra sound is a product of the creativity and commitment of some of the greatest musicians on the planet. This concert explores the incredible dedication and amazing teamwork that has made the CSO such an extraordinary ensemble for more than 125 years. Benjamin Britten’s iconic introduction to the instruments of the orchestra pays tribute to Henry Purcell, one of the greatest English composers of the 17th century. This program is sure to inspire budding musicians throughout the audience. A child from 1919 meets a child from 2019. Though their lives are very different, they discover joy and meaning in music in the very same ways. This program reflects on and celebrates the CSO’s century-long tradition of presenting concerts for children. Modest Mussorgsky composed Pictures from an Exhibition as a musical depiction of a set of drawings and watercolors. This piece, famously arranged for orchestra by Maurice Ravel, leads audience members on a sonic gallery walk and invites them to investigate how visual imagery can be transformed into sound.